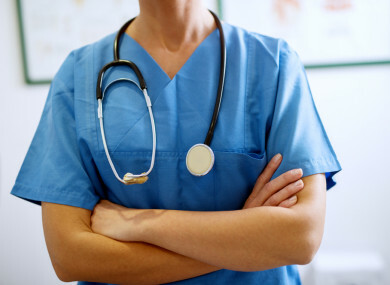 JUST UNDER THREE-QUARTERS of Irish people say they support the nurses’ going on strike today, as 24 hours of work stoppages are set to begin at 8am. Nurses and midwives at hospitals and private clinics across the country will be out on the picket line today, in industrial action against pay and conditions and what they call recruitment and retention issues in the sector. The Irish Nurses and Midwives Organisation (INMO) which has over 40,000 members, announced strike action earlier this month. In a ballot held in November, over 90% of members that were polled voted in favour of industrial action. The government has said it will not countenance any pay rises for nurses outside of the broader public sector pay agreement reached last year. It refused to budge on this position in recent days. Exploratory talks were held at the Labour Court on Monday night into early yesterday morning to see if there could be any way to break the impasse between both sides. However, the Labour Court confirmed yesterday that it would not intervening in a formal way in the dispute, paving the way for today’s strike to take place. A Claire Byrne Live/ TheJournal.ie poll carried out by Amárach Research of 1,000 adults found broad support for the nurses’ action. A total of 17% said no, they didn’t support the nurses, while 9% said that they didn’t know. Today’s strike will begin at 8am and last for 24 hours into Thursday. “We would appeal that patients would only attend the emergency services if absolutely essential,” HSE national director of acute operations Liam Woods told reporters yesterday. About 13,000 outpatient appointments have been cancelled as well as 2,000 elective procedures (some urgent procedures such as cancer procedures will go ahead) and the HSE said 10,500 older persons and individuals in intellectual disability services will be impacted. GP services and GP out-of-hours services are operating as normal. Local injury units will not be operational. Patients whose appointments and surgeries have been cancelled will be given priority in the weeks that follow today’s strike. The HSE said these patients will be contacted directly. In the event of a major emergency today, the HSE said there would be an emergency response. Email “Three-quarters of Irish people support nurses as 24-hour strike kicks off around the country”. Feedback on “Three-quarters of Irish people support nurses as 24-hour strike kicks off around the country”.